Every now and then I stumble across a suicide story in the Beccles newspaper transcripts and it truly wrenches at my heart because the report is usually just a name and the circumstances of their untimely deaths, sometimes with blow-by-blow descriptions given. When it's somebody who has drowned themselves in the river Waveney however, I feel even more saddened and I find myself wanting to know more about them. Who were they and where did they come from, before they took their own lives? One such person I found was Emily Calver, who drowned herself in 1898. In the Ipswich Journal, on the same page as large advertisements for St Jacob's Oil (Conquers Pain, in large bold letters), Scott's Emulsion cod-liver Oil and Lifebuoy Royal Disinfectant Soap, lies the heading: SUICIDE AT BECCLES : SEQUEL TO RELIGIOUS MANIA. 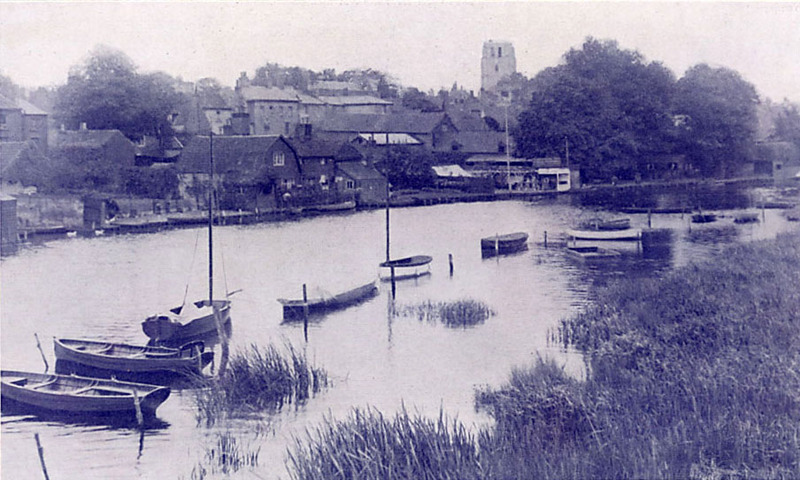 "A widow, named Emily Calver, aged 52, committed suicide at Beccles, on Saturday morning [30 April], by drowing herself in the river Waveney. She had often made use of threats, but as she never did more than make a feint of carrying them into execution, no importance was attached to them, except that by order of Dr. [William Taylor] McComb, she was closely watched. She lived in Denmark Road with her two step-sons [Thomas Read Calver and John Brown Calver], and for the last three months a young woman [Edith Jessie Watling] had attended on her as nurse housekeeper. Early on Saturday morning, while the young woman still slept, Mrs Calver made her way to the river by way of the wall on the Norfolk side, and threw herself into the water. It is surmised she would have gladly got out again had she been able to do so, as she would be simply acting on suicidal impulse, the result of a kind of religious mania and liver complaint. Her body was discovered by a banker's clerk; named Youngman, on his way to bathe in the river." Emily Gower was born in 1845 in Barford, county Norfolk, and christened on 3 August 1845. She was the daughter of James Henry Gower and Pleasance, nee Baxter. James Henry Gower and Pleasance Baxter were married on 10 October 1831 at Saint Peter, Southgate in Norwich. In the 1851 census returns I found the family living in Chedgrave Street, in Chedgrave. James Henry was cited as "Pauper formerly Shoemaker". The 1861 census reveals they were still living in the Loddon area but Emily, by this time, was living in Blyburgate Street, Beccles. She was an apprentice Dressmaker, living in Blyburgate Street with Sarah Beamish, nurse. Emily's sister Naomi Gower was also living at this address, working as a House Servant. By 1871 however, I find Emily was living in Marylebone, London working as a Servant for Henry Gilbert (Coach Builder). In 1887 Emily married Frederick Francis Calver, who was a widower (his first wife Hannah, nee Brown passed away in 1885). Frederick Calver was born in Walpole, county Suffolk, in 1836. 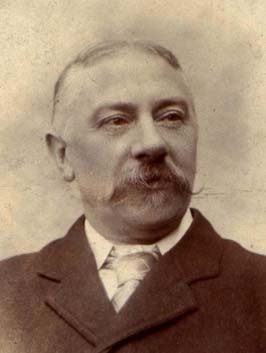 He came to Beccles between 1851-1861, living in Ravensmere first as a lodger with the Purland family and later, as head of his household with wife Hannah and their children Thomas Read Calver, Frederick William Calver and Florence Hannah Calver. They had at least another three known children after 1871: Miriam Calver, John Brown Calver and Augustus Clement Calver. The 1861 census cited Frederick Francis Calver as a Tanner; the 1871 census as Fellmonger (dealer in hides or skins, in particular, sheepskins and prepared skins for tanning) and Primitive Methodist Local Preacher. Now there was an interesting contrast in professions if ever I saw one. EAST SUFFOLK GAZETTE. 2 July 1889: DEATH of Frederick Calver, aged 52, a class-leader of the Primitive Methodists, and preacher for 25 years. He was a Fellmonger. At the inquest into Emily Calver's suicide, her brother, Henry Gower, fruiterer of Beccles, explained in some detail the state of mind his sister possessed prior to her death. He reported to the jury that Emily had complained frequently of pains in her head following a bout of influenza three months prior. Henry told the jury that Emily had allegedly told him the pain was so terrible "she could not bear her own existence". The jury returned a verdict of "Suicide by drowning, while of unsound mind".